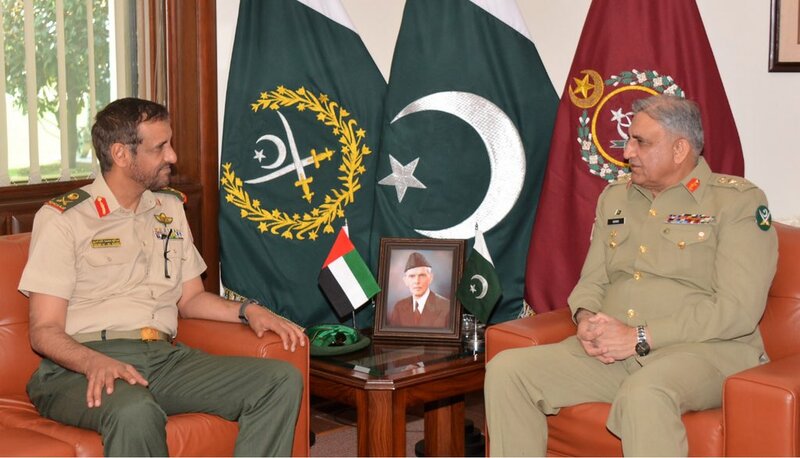 Major General Saleh Mohammad Saleh Megren Al-Ameri, Commander of UAE Land Forces called on General Qamar Javed Bajwa, Chief of Army Staff (COAS), at GHQ. During the meeting, regional security situation and issues of mutual interest including cooperation in the fields of defence, security and military training between both the armies were discussed. Visiting dignitary acknowledged and appreciated Pakistan Army’s efforts in fight against terrorism. Earlier, on arrival at GHQ, the Commander of the UAE Land Forces laid floral wreath at Yadgar-e-Shuhada where he was presented the guard of honour.